You are invited to watch a special television event that I appear in. I'm sharing my "Foodie Gardener" recipe for "Chayote Squash with Garlic and Sun Dried Tomatoes!" Hallmark Channel announces a new Hallmark Channel Original Special, “Home & Family Holiday Special,” starring Mark Steines and Cristina Ferrare, will air on the network, Monday, November 25 (8:00pm ET/PT, 7:00pm CT). The “Home & Family Holiday Special” will encore on Tuesday, November 26 (10:00 am ET/PT, 9:00am CT). The primetime edition of Hallmark Channel’s Daytime Emmy-nominated Original Series will feature Mark and Cristina celebrating the holidays with live entertainment, celebrity guests, recipes, crafts, and a tree-lighting ceremony second to none. Celebrities dropping by to celebrate with the family include Emmy Award-winning actor Kellie Martin, Daytime Emmy-nominated actor Cameron Mathison, veteran TV actor Candace Cameron Bure, six-time Grammy Award-winning sing/songwriter Naomi Judd, and Golden Globe nominee Nicollette Sheridan. The special will also feature amazing musical performances by the Italian operatic pop trio Il Volo; TV Host/Singer/Song Writer and new “Home & Family” member Matt Rogers; and the John Burroughs High School Choir, the national grand champions of all high school choirs in the United States. And to top things off, a special festive ice rink will be set up in the Home & Family’s yard for a performance by the phenomenal Los Angeles Ice Theater company. A “Home & Family Holiday Special” would not be complete without Cristina’s famous turkey dinner recipe that is a personal favorite of Oprah’s while Mark will share with the viewers, the secrets of how to take amazing holiday family pictures and make them unique to cherish for a lifetime of memories. Lastly, in keeping with holiday traditions, there will be a tree and house-lighting ceremony, complete with ornaments and decorations from Hallmark Cards. “Home & Family” family members Shirley Bovshow, Kym Douglas, Jessie Jane, Debbie Matenopoulos, Tanya Meme, Laura Nativo Matt Rodgers, Jill Simonian, Sophie Uliano and Ken Wingard will also be on hand to help bring in the holiday spirit. 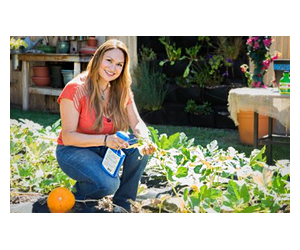 “Home & Family," nominated for a prestigious Daytime Emmy Award for Outstanding Lifestyle Program and now in its second season, airs daily on Hallmark Channel, Monday -Friday (10:00am – 12:00pm. ET/PT, 9:00am CT). Marty Tenney is the Executive Producer, Stacey Patterson, Ryan Berlin and Megan Lawson are Senior Producers. Bob Levy is the Director. “Home & Family” is a Woody Fraser Enterprises production. The show is broadcast in 1080i, Hallmark Channel’s selected HD Format and this program carries a TV-G parental guideline rating.